Bluetooth 5 is a major step ahead for the august technology of Bluetooth introduced in 1999 to connect devices wirelessly. It is expected to be two times faster, has four times longer range and possesses new connectivity features as compared to the predecessor Bluetooth 4.2. If a clear line of sight is available then it can have an even longer range. It has a data transfer speed of 2Mbps and a range of 120 meters. It provides a strong connection to peripherals such as wireless speakers. It will have the capability of transmitting data from one device to many and can even provide services of security and privacy. The new wireless system can even broadcast richer data like location information and URLs. Overall Bluetooth 5 is expected to increase the functionality of Bluetooth for IoT experience. Bluetooth 5 will offer a unique range of ubiquity by providing an install base of over 10 billion devices. Bluetooth 5 ensures all security regulations by meeting all the security standards. The Bluetooth 5 will be having low energy power efficiency and is very convenient for devices that have to run for long hours on power resources. Moreover, Bluetooth 5 includes updates that have the capability to reduce potential interference with other wireless technologies thus promoting the complex global IoT environment. Some of the first devices to support Bluetooth 5 could be smartphones and tablets with Qualcomm’s Snapdragon 835 chips, which will be manufactured with Bluetooth 5 in the chipset. 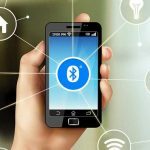 Bluetooth 5 aims to decrease connection barriers and will enable a unified IoT experience.